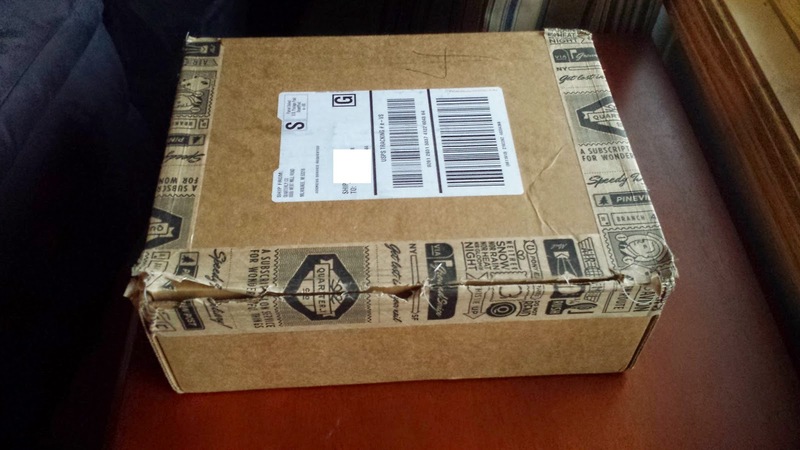 So I've been fascinated by subscription boxes lately. I like getting something and not knowing what it's going to be. I decided to try the Book Riot Quarterly Box to see if I like and I figured Christmas is a good time to do it. I actually received the box on December 5th but because I've been so busy I haven't had much time to really look at it. This is what I received in the box. I also really wanted to try the Uppercase box before Christmas and forgot. So I'm bummed to not get the cool Marauder's Map ornament I'm seeing all over the place. So my box came. Yay box! So you get a card explaining what you got in the box and why. What I'm showing here is the Ms. Marvel comic, which is pretty cool. I was actually looking at this online and then lo and behold here it is. 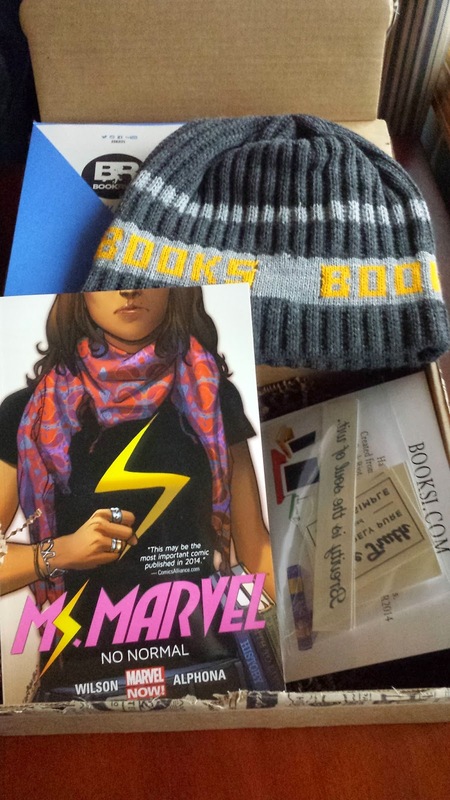 I also got this cool winter hat in case people don't know I like books and book tattoos. It also came with this Shakespeare candy because who doesn't need Shakespeare candy. 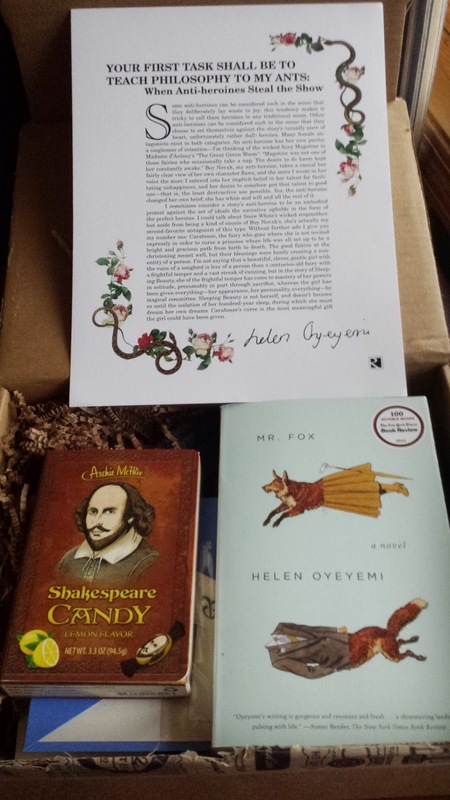 Also some cool Helen Oyeyemi stuff. I actually had remembered seeing this book Mr. Fox but the cover confused me. (I know I totally judge things by cover sometimes), it sounds really interesting though. "What makes a marriage? Is it the end of fairytale romance? It might be if your husband is the writer Mr Fox, who does devilish things to the heroines of his stories. His wife is unable to change his ways, but when his imaginary muse, Mary Foxe conjures herself one sunny afternoon and confronts him, things take an unexpected turn." So I think I will keep the subscription for another round and see what I get next. I also think I'm going to do the Uppercase Box. As soon as I decide which one I want.